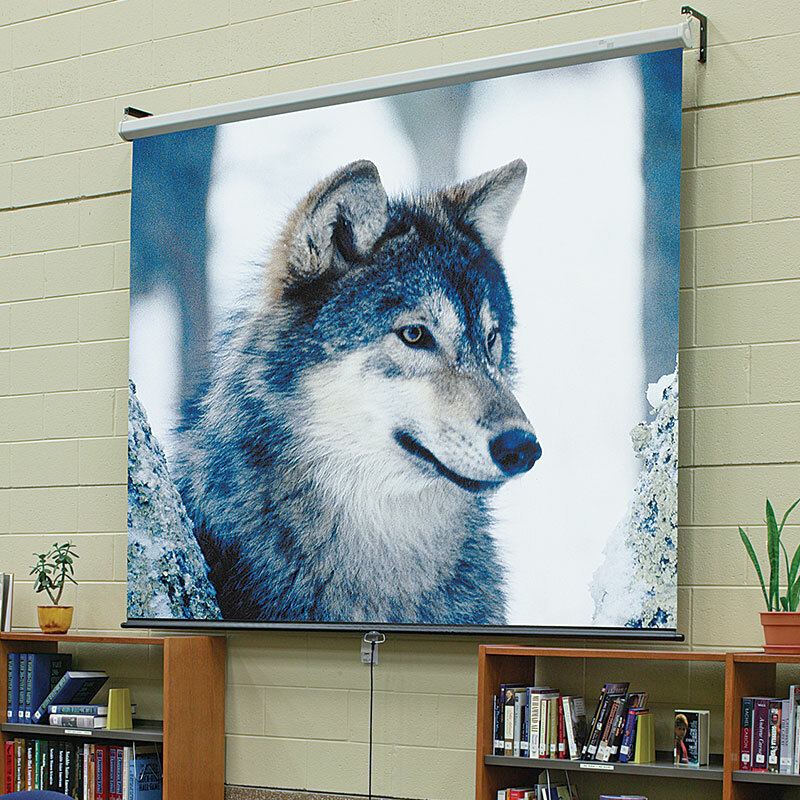 Luma wall/ceiling projection screen. For small to medium sized groups. Spring-roller operated. Housed in pentagonal steel case with a scratch-resistant white polyester finish and matching endcaps. Endcaps form universal hanging brackets for attachment to wall or ceiling. Custom sizes available. Warranted for one year against defects in materials and workmanship.